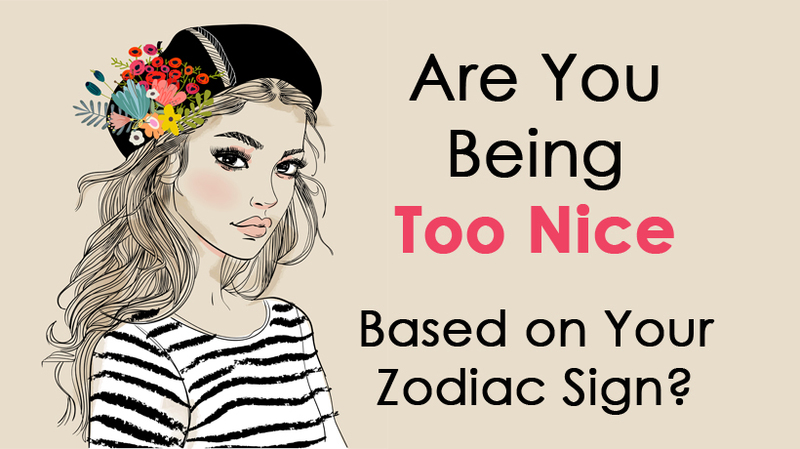 Are You Being Too Nice Based on Your Zodiac Sign? 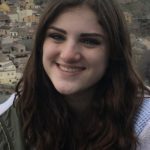 Has anyone ever described you as being “too nice?” Being a good-natured person isn’t a bad thing- however, there are times where you have to put your foot down. According to your zodiac sign, here’s a look at just how pleasant you may be. Aquarius women simply don’t have time for rudeness. You are secure enough in yourself and your abilities that you don’t feel the need to act out against others. That’s not to say that you’ll sit there and take snarky comments – you’re sure to show people that they can’t take your good nature for granted. Those of your sign are known for being extraordinarily compassionate. Because of this, people might feel like it’s okay to walk all over you. However, you’re not one to be pushed around. If you need to stand up for yourself, you will – in the nicest way possible. Don’t cross an Aries who’s on a mission – unless you want to feel their wrath. Anyone who gets in the way of your success will be the object of your anger. It would serve you well to practice patience. Taurus women are loyal through and through. You don’t see the point in being spiteful or malicious. You are patient with rude people, but like most, you have a breaking point. The outgoing nature of a Gemini woman makes her incredibly friendly. However, you have the tendency to love a little gossip every now and then. Try and stay away from spreading rumors about people – this isn’t reflective of the genuinely nice person you are. Cancer women are able to understand the emotions of others better than they understand their own. Like Pisces, people think that they can take advantage of your kind nature. Unlike Pisces, you might not know how to stand up for yourself. It would be beneficial for you to work on speaking your mind. As a Leo, you have the strength of a lion. You are quick to assert yourself when you need to. However, you also pride yourself in being warm and friendly when you feel it’s appropriate. You sometimes come across as cold and calculating. Virgos certainly are rational people – however, this way of thinking may hinder you from taking other people’s feelings into consideration. As a Libra, you crave a sense of balance – and you’ll do anything to make sure that this equilibrium is maintained. You are one of the most agreeable signs, simply because you want to be able to reach a compromise as quickly as possible. If you stay on a Scorpio’s good side, they can be the most genuine friends you’ll ever have. However, if you’re rude to a Scorpio, you better watch out; they won’t be afraid to sting you right back. Even though you can be impatient at times, you rarely ever take your frustration out on others. You are pleasant to be around, and you like to be there for your friends and family when they need you. Capricorns can get so caught up in pursuing their goals that they may lose sight of other important things in their lives, like relationships in general. Because of this, people might think you don’t care about them. However, you know this isn’t true. All you need to do is devote a little more time to your loved ones so they can see just how lovely you really are.